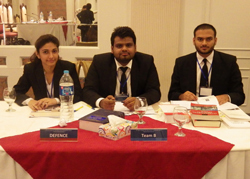 PCL Mooting Team consisting of Muhammad Mustafa Khan, Khush Bakht, Sarib Ikhlaq under the supervision of faculty Ms. Maryam Akram were awarded with the 4 most important awards in the recently conducted 6th ICRC Henry Dunant National Moot on August 20, 2013. 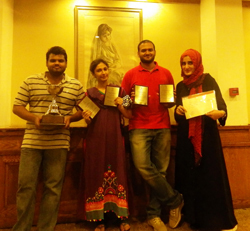 The Team was awarded the Best Memorial, Best Researcher, Best Priliminary Question/Answers and Runner Up Trophy. 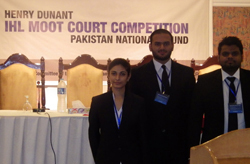 Congratulations Team PCL !!! !